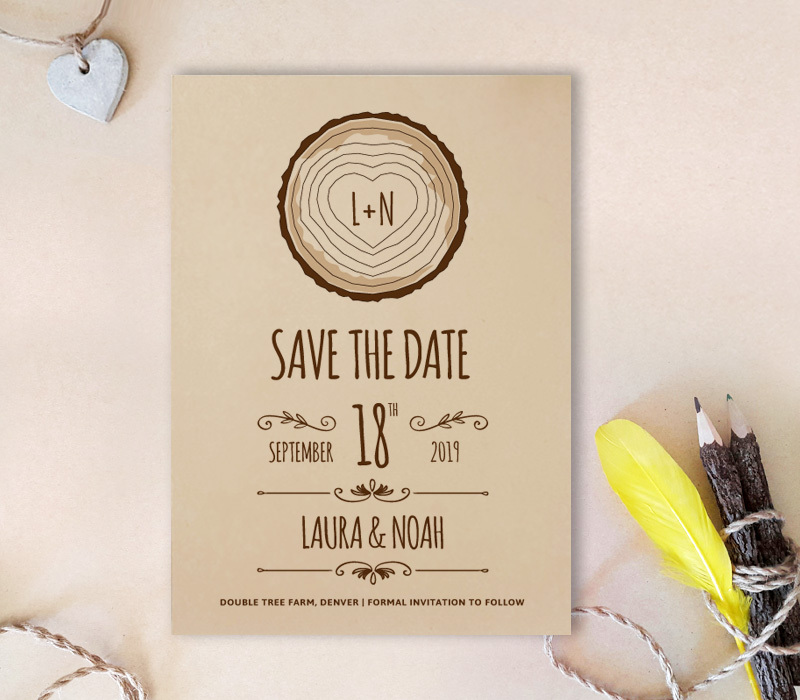 With the date of your wedding is finally picked, you can now share the news with our Rustic Save the Date Cards! Featuring tree stump artwork, this card will showcase your wedding date in large woodsy font. Each card from this set is printed on kraft card stock for a country inspired finish.